We already know that on April 13 we will get our first proper look at Respawn Entertainment's Star Wars Jedi: Fallen Order, as part of the annual Star Wars Celebration event in Chicago. But luckily for fans that can't make the trek to the event, EA has announced the reveal will be livestreamed. When is the Star Wars Jedi: Fallen Order reveal? 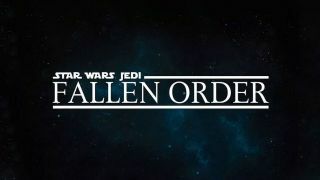 Star Wars: Jedi Fallen Order will be revealed on April 13 at the annual Star Wars celebration in Chicago. The galaxy-wide premiere will see the head of Respawn Entertainment, Vince Zampella, and game director, Stig Asmussen, revealing the much-anticipated details of Star Wars Jedi: Fallen Order - with the event's description promising "a few surprises in store".